Leadature|Stat is a companion product to Leadature|Prime & Leadature|Express. It allows quick access to overall event lead counts and lead counts associated with any customer qualification questions. Leadature|Express customers can use the same configuration keys for any event to point Leadature|Stat to the correct data set. Leadature|Stat requires an active account with PRMconnect to provide valid data. 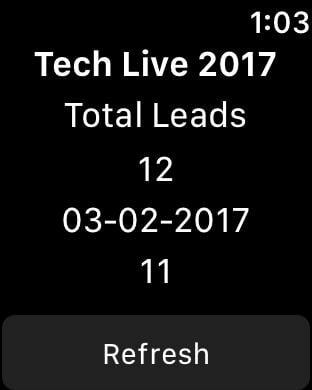 This runs on the iPhone, iPad and Apple Watch to give you realtime stats on the leads collected at an event.